As you may have noticed in my recent Housing Notes, I’ve been China-obsessed, culminating with a 10 day trip to Shanghai where I went full-on tourist with my wife plus participated in The Real Deal’s U.S. Real Estate Showcase & Forum. The city provided us a fantastic experience, sampling delicacies like duck blood soup but still able to find a Starbucks’ Venti Coffee Frappuccino in one of their 200 outlets across the city. I highly recommend a visit there, especially since airfare for the 18 hour flight was reasonable, unlike my 1.5 hour flight to Cleveland, where I am writing this Housing Note and attending the Great Lakes Relocation Council 2015 Annual Conference with my RAC (Relocation Appraisers & Consultants) colleagues, the best residential appraisers in the U.S. Then I head to Detroit for the weekend. On a side note, my travels of the past 7 days have established I have range in my destination choices: Shanghai-> NYC-> Cleveland-> Detroit. Each one better than the next? After speaking to investors on my panel, conference attendees and non-investors we met during our stay, here are some anecdotal points (I know, I know) that were shared with me. These views were developed after the recent devaluation of the Chinese Yuan. • While Chinese investing abroad became somewhat more expensive, the currency devaluation wasn’t expected to dampen interest and would likely fuel a second wave flight capital. • The slowing economy (whether or not you benchmark to the government figure of 7% GDP by year end or a 4-5% GDP that most on Wall Street seemed to believe, the Chinese are exporting deflation to the U.S. That means a Fed rate hike was unlikely (Update: no rate increase). • The concern in their stock market’s volatility was more about the way the government was intervening, reducing transparency and changing the rules as they went. One day you’re a hedge fund manager with heavy losses, and the next day the regulators appear in your office and you disappear for 6 hours to be interviewed and learn that what you’ve been doing for the past 2 years was now illegal. • A number of the everyday people we met had lost money in the stock market but still had an unbridled enthusiasm towards the Chinese housing market, which by western standards still seems to be a massive bubble. Yesterday Douglas Elliman Real Estate published our research for the August New York City rental market, specifically the boroughs of Manhattan, Brooklyn and Queens. While many readers of these Housing Notes may not care that Brooklyn median rental price set a new record high for the third month in a row, the reasons why this is happening apply to nearly every residential housing market in the U.S.
• “Housing is local, but credit is national” so tight mortgage lending conditions exist across the country. • Tight credit conditions push would-be first time buyers back into the rental market, expanding demand and exaggerating the lack of affordable rental property. • Higher rents have been a key driver of brisk multi-family new construction, which has overshadowed single family new construction. 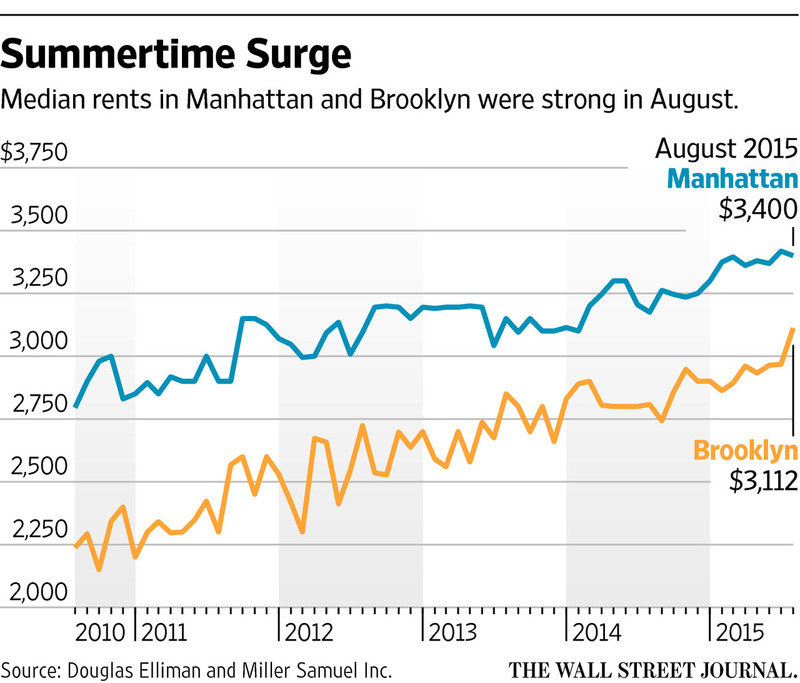 • Improving economic conditions, rising employment and tight credit, which all seem unlikely to end soon, are keeping upward pressure on rents nearly everywhere. • There is no real end game to high rents as stagnant wage growth has made this recovery feel so weak to most. I had a great conversation with Phil Crawford at Voice of Appraisal just before we left for China. Phil is an active appraiser who has a terrific radio show that covers the appraisal industry. We touch on AMCs, Dodd Frank, the insanely childish feud between the Appraisal Institute and the Appraisal Foundation. AI continues to clandestinely lobby state legislatures to incorporate their new appraisal standard to compete with USPAP yet their average dues paying member doesn’t seem to have a clue about this activity. Phil is now on a mission to bring the waring factions together for the sake of our industry. I hope he is successful. The conversation is worth a listen if only to hear the sound of Phil’s silky radio voice. The Appraisal Institute, our industry’s largest and dominant trade group, was recently successful in getting Texas to incorporate their new appraisal standard into state law. They are attempting to justify their existence by trying to essentially duplicate the neutral federal standards known as USPAP. The problem is, both their local and national membership don’t seem to know anything about this – creating more confusion for their clients. AI was turned back in California and now (I learned after the interview) they are focused on Tennessee. I would imagine there are other states currently in play. Once the clear leader of our industry seems to have leadership that works in a silo. In retrospect, their isolation isn’t a new phenomenon after looking back at how they missed appraisal licensing in 1991, missed HVCC in 2009 and completely missed AMC take over. All having significant detrimental economic effects on their membership. More on this to come. The latest in the procession of $100m vanity listings was located on Long Island and went public this week. Here are the recent articles chronicling this listing and the cynicism towards the motivation to actually sell it. • Vanity Fair – Will This $100 Million Long Island Palace Find Its King and Queen? 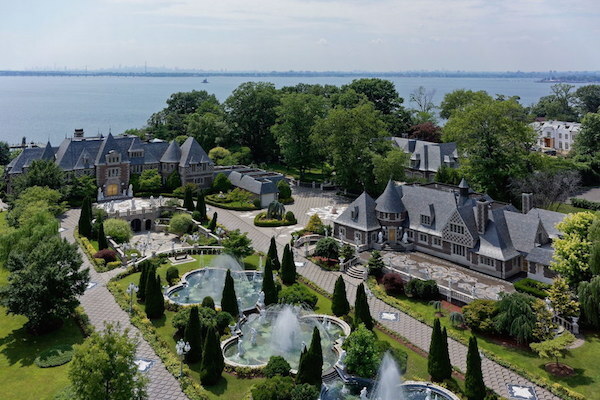 • Curbed – Absurd Long Island Mansion Asks $100M Because, Hey, Why Not? 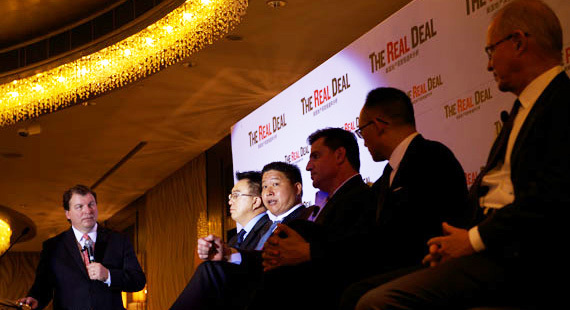 After my Shanghai experience at The Real Deal Magazine’s forum, I have a new found appreciation for their success as a go-to real estate publication. I have known the founder Amir Korangy and editor-in-chief Stuart Elliot since their early start working out of Amir’s apartment in NYC. Apparently I can be plotted on a matrix somewhere between “Win” and “Luxe” and feel I have a promising future as a bobblehead. And most importantly, please note that this Saturday, September 19th, is International Talk Like A Pirate Day. Millions of people Google the holiday every year for reasons they can’t explain. Here’s the Dave Barry column in the Miami Herald that started it all. Like I said earlier, I have range.